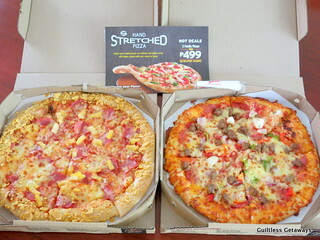 If you're craving for Pizza Hut then now is a good time to order because you can qualify for the Win with Manny contest =) They also just launched the Hand Stretched Pizza deal last week and it's only available until May 9 so it's time to try it! 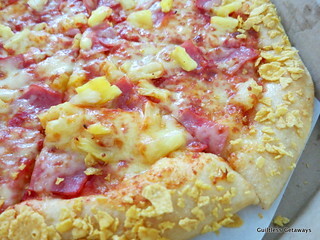 I got to bite into the chewy Hawaiian flavor (my all-time fav) with the Honey Crunch glaze for the crust and the Supreme pizza with the Toasted Cheddar crust. 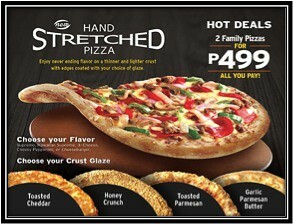 Make things great by stretching your experience to the last bite! Hehe. That's already P499, just add a drink or more because every P500 single receipt entitles you to the Win with Manny raffle ;) This is valid for dine-in, take out and delivery. The deadline for submitting of entries is on April 24, 2015! 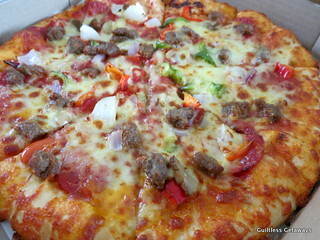 You can do what we did and order delivery via 911-1111 or online at www.pizzahut.com.ph.